Acupuncture That Works Cheshire › Does Acupuncture Work? Absolutely. There is clear evidence and controlled clinical studies which have demonstrated the effectiveness of Acupuncture in treating a range of conditions. Naturally we’d love to claim that we can treat all sorts of illnesses and conditions but of course to do so would be misleading. Much as current Western medicine cannot claim to cure every illness, nor can Acupuncture. 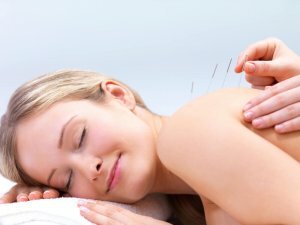 So what can acupuncture help with? Well, current guidance for the Advertising Standards Authority says that acupuncturists may claim to help treat dental pain, nausea and vomiting, provide short term relief of tension type headache, temporary or short term relief of lower back pain, and provide temporary adjunctive treatment for osteoarthritis knee pain. Acupuncture has been proven to be effective in helping to relieve symptoms in all of these cases. Does this mean that Acupuncture can only be used to treat these conditions? No. We need to be absolutely clear here that acupuncture can be used for the symptoms of a wide range of conditions, it’s just that the current clinical evidence has only shown the above conditions to be definitely effective in controlled trials. So can Acupuncture work for any other conditions? Acupuncture has been shown to be effective for a whole range of conditions, however for any Acupuncturist to be able to state categorically that they can treat something, say for example to help someone stop smoking, they would need to prove through a range of double blind clinical trials that acupuncture consistently produces a positive outcome for patients which is better than another ‘placebo’ treatment. The stance therefore taken by the ASA is to disallow any claims of efficacy for the treatment of any other conditions other than those which have been clinically proven. At Acupuncture That Works we are completely behind the move towards clinical testing of acupuncture as we believe that only by testing and retesting can you answer the question does acupuncture work . Our experience with patients is that even those people who express a view that it cannot help them, and are completely sceptical about the entire process, still generally find that they have some improvement after treatment. Now what cannot be measured by clinical testing is the way patients ‘feel’ after a treatment and of course we cannot measure confounding factors. It may be that an acupuncture treatment can help someone with sciatica but what we cannot do is tell if it was going to get better without a treatment. All we do know is that more often than not people report an improvement in their condition after being treated with acupuncture. We’ve repeated the question a number of times throughout this piece as it’s important to remember the original question, does acupuncture work? If it doesn’t work at all then it seems strange that it has been practised for over 3000 years. It also seems strange that there are so many acupuncturists and acupuncture clinics around the world. Stranger still is the fact that the NHS will pay for acupuncture treatment, insurers will pay for it and the ASA finds that there are certain treatments that acupuncturists can advertise openly as their effectiveness has been proved. Does acupuncture work for everybody, every time? No,and it never will. Much as conventional Western medicine cannot cure all ills with pills and surgery, neither can acupuncture solve every problem. Can acupuncture be part of a programme of wellness or rehabilitation? Yes, it can and probably should. To find out whether we can offer a treatment that may be of benefit to you please call us free on 0800 051 76 88 and ask for a free no obligation initial assessment. We’ll be happy to provide you with an honest, professional assessment before recommending any course of treatment.